Drops of water on the inside of a window may seem like a minor nuisance. But if you don't take steps to address the issue, runaway condensation gradually becomes a real problem. Here's what to do. You may notice condensation on the inside of your windows and figure it’s nothing worry to about. Believe it or not, though, condensation can lead to mold, mildew, and water damage. What’s going on? 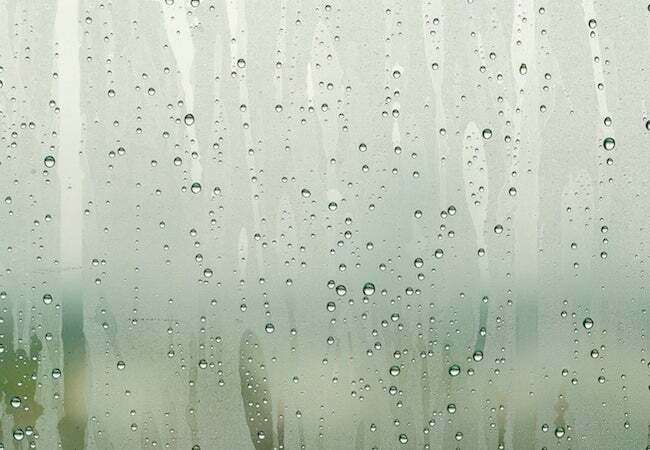 Condensation appears on the inside of windows when moist indoor air comes into contact with a cold window surface. That being the case, it’s an issue faced by homeowners in homes new and old, across the country. Fortunately, there are a few tried-and-true methods homeowners use to keep condensation under control. First off, if your house still has the original single-pane windows, installing storm windows and/or weatherstripping goes a long way to prevent condensation from ever forming. If you have double- or triple-pane windows, a faulty seal between panes may be to blame. Something else to be aware of: Plants release moisture as they’re growing, so if you’ve got a collection of potted houseplants near the affected window, try relocating them. By the same token, be sure to turn on the bathroom fan every time you take a shower and to run the range hood exhaust fan whenever you cook on the stove. Finally, double-check that the vent on your clothes dryer remains securely in place. If the connection has come loose, the appliance may be filling your home with warm, moist air, instead of expelling it outdoors.